Executive 1 Acre And Larger Allotments Available Now ! Welcome to the superb “Rosehill Park Estate”. This sensational development offers a wonderful choice of 9 beautiful one acre (and larger) allotments in prestigious Lower Plenty. 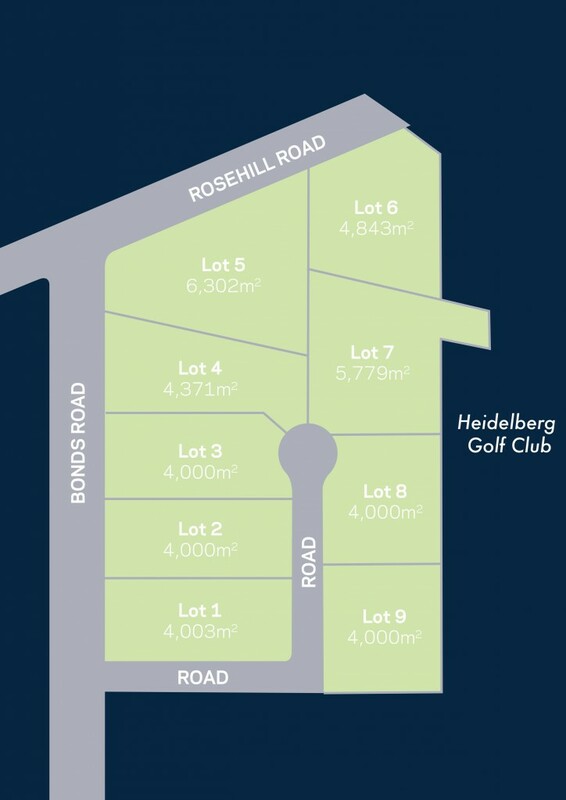 Adjacent to the Heidelberg Golf Course, this exclusive enclave has been selected to ensure that you will have all the space and scope you need to build a first class family home with enough room for a tennis court, swimming pool and alfresco entertaining zone like no other (STCA). All services will be available. With quick access to the Yarra River, Westerfolds Park and the Main Yarra Trail, it's also an easy commute to the CBD. Secure your place now and let the dream begin! - Power, Sewerage, Main water, Telephone and Natural Gas available.